The Advanced Manufacturing Building is an expansion of the University’s Faculty of Engineering and is our fifth project on the Jubilee Campus. It accommodates some of the most advanced technologies related to automation, precision manufacturing, Additive Manufacturing and lightweight composite materials. 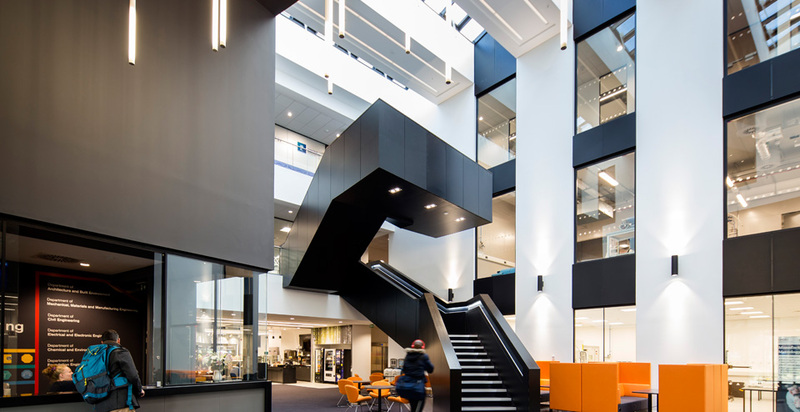 Built across three floors, the building comprises engineering laboratories, offices, seminar and conference rooms and a specialist clean room for the research and development of 3D printed pharmaceutical devices.The foyer provides open access for University visitors and the local community alike with a café, soft seating facilities and split level views into the laboratory areas. 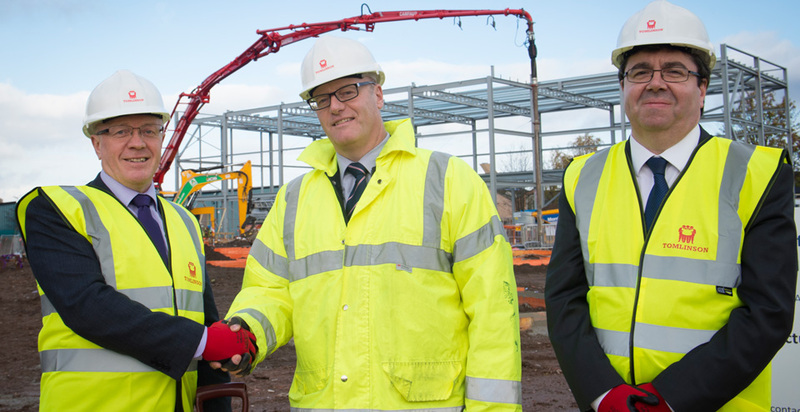 Constructed on a contaminated Brownfield site , works commenced with ground remediation which protects its long-term use. Decontamination focussed on maintaining material on site, with 600m3 of existing soil re-used to form the piling platforms. Using our knowledge and experience of the live campus we planned and co-ordinated works with the University to minimise disruption. 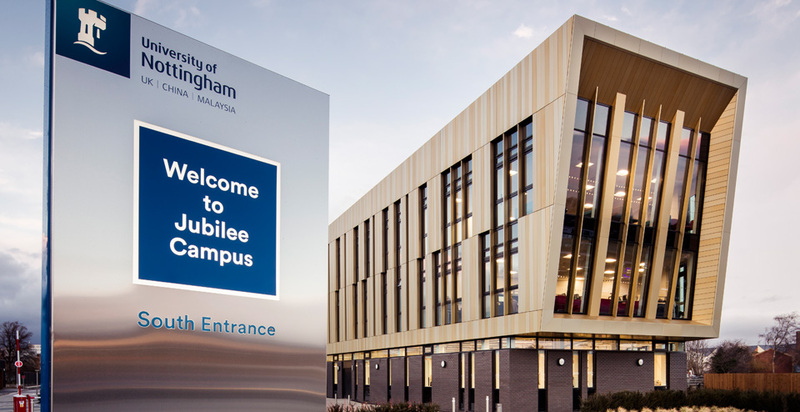 Situated on the main arterial route into Nottingham City Centre, this project means that for the first time Jubilee Campus reaches Derby Road, opening up the University to the city and wider public in a way that no other development has done to date. The building achieved EPC ‘A’ and BREEAM Excellent ratings.